The rupee plumbed new lows and stock markets fell deeper into the red for the year on Thursday, rocked by sell-offs across global markets spooked by escalating global trade tensions and warnings of a growth slowdown. 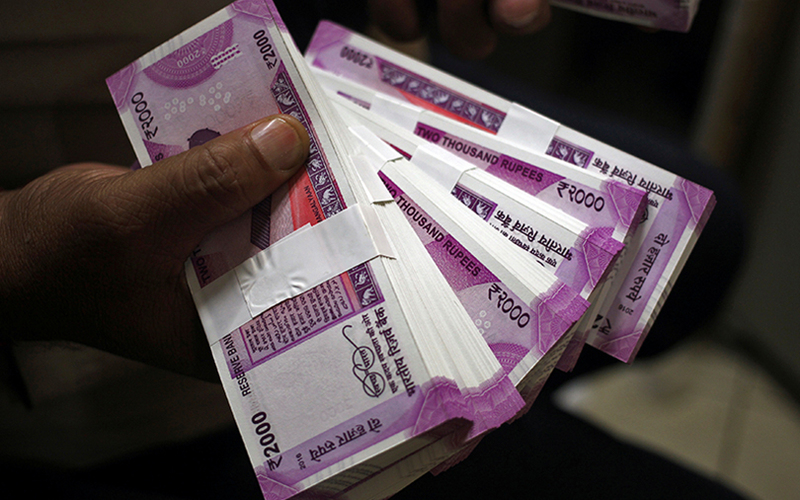 The Indian rupee fell to 74.4850 per dollar levels in early trade, off 0.4 percent on day. The currency is down more than 14 percent this year, making it the worst performer in Asia. By 0515 GMT, the partially convertible rupee was at 74.39/40 per dollar levels versus its previous close of 74.21. Traders said sporadic dollar selling by the central bank was limiting the rupees fall. A sharp fall in domestic equity markets was the main driver for the rupee’s extended decline, as it heightened concerns about further foreign portfolio outflows. Confidence has ebbed in India’s markets in recent weeks. A liquidity scare erupted last month after a series of debt defaults by Infrastructure Leasing & Financial Services (IL&FS) sparked redemption pressure at other shadow banking companies. The rupee has been setting all-time lows, bonds touched their weakest since November 2014 and share markets have suffered massive correction since their record highs in August. One a net basis, foreign funds have so far sold $3.9 billion worth of domestic stocks and $7.8 billion worth of domestic debt so far in 2018. That compares with net purchases of $7.86 billion in equities and $26.26 billion of debt in 2017. “The two day rally was a classic bear market trap. Corrections in momentum markets rarely last beyond two higher highs and today was no exception,” Vinit Bolinjkar, head of research at Ventura Securities said. The broader NSE Nifty index was down 2.4 percent at 10,209.40 points with almost all stocks in the main index in the red except oil companies which were up on the back of the fall in global crude oil prices. The fall was led by financials with the Nifty Bank index down 2.5 percent. The Nifty earlier fell to a low of 10,138.60 points, its weakest level since early April. ONGC and Bharat Petroleum shares were up 1 percent each while Hindustan Petroleum Crop rose 3.1 percent. The fall in global crude oil prices also helped limit further selling in the rupee as it reduces pressure on India’s hefty import bill. The benchmark 10-year bond yield however was down 3 basis points on the day at 8.00 percent. “Let markets find their levels. That is the best way, more so because this is a global move, there is nothing that will help,” a senior trader at a private bank said.